The Outlander universe was blessed by the arrival of a very, very important new player in Sunday night’s season 4 premiere—and no, I most certainly am not talking about that scoundrel Stephen Bonnet. I’m talking, of course, about Rollo the Very Good Boy. Rollo will already be familiar to fans of Diana Gabaldon’s books: after being won by Young Ian in a game of dice, he quickly becomes an integral part of the Fraser clan’s new life in North Carolina, acting as both guard dog and assistant hunter/fisher. 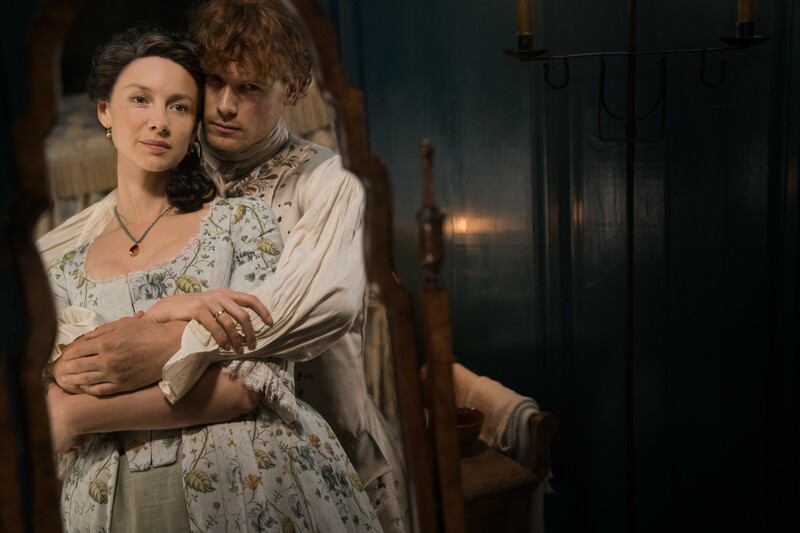 And given how brutally the season premiere ends—signalling that it’s not all going to be smooth sailing for Jamie and Claire in the New World—he’s also going to be a much-needed source of floofy moral support. So naturally, when Caitriona Balfe sat down with ELLE.com to discuss the new season, I grabbed the chance to ask her about working with Rollo.